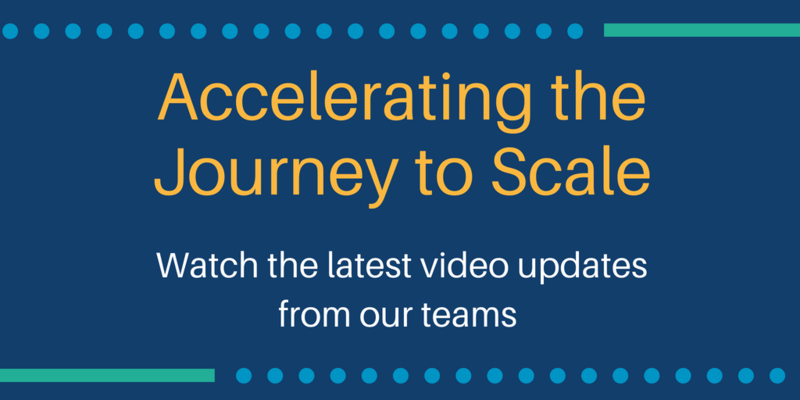 We’re delighted to share with you the fourth round of video blogs from our Journey to Scale project teams! Over the course of their two year funding from Netherlands MFA, the teams are creating a series of video blogs (vlogs) to share their story of scaling their humanitarian innovations, documenting their challenges and successes, and showcasing the impact their work is having on the ground. These vlogs give a snippet into their current work and thoughts, while the wrap-around blogs give greater reflections on their experience in the Journey to Scale programme and with Elrha as a whole. This time the teams explore topics like the benefits of forming partnerships, how to scale to address a particular need and working towards a new (and improved) humanitarian future. Field Ready take a look at their vision of what the future of humanitarian aid should look like, using approaches such as local manufacturing and training to produce humanitarian supplies at the point of need quicker and cheaper. They are experts in bridging the gap between humanitarians and the adoption of technology and use an example of their work in AI in the Pacific region. Since we last caught up with them Panzi Foundation and Make Music Matter have been focusing on expanding their music therapy programme even further for survivors of sexual violence by rolling the the programme out to a whole new site in the DRC. In their blog and vlog they focus on the benefits of their partnerships with private sector companies, which have been integral for them throughout the development and expansion of this programme. From music producers and music recording equipment supplies, their long standing strategic partnerships have helped the Healing in Harmony programme realise their vision of supporting these women to feel and be seen as artists, not patients. Translators without Borders have been progressing on their Journey to Scale, scaling language support to ensure the services fit the needs of specific communities in northeast Nigeria, where there are over 500 languages and no common language exists. Read their blog and watch their vlog to find out how their journey to scale is helping them build the evidence and develop the capacity to bridge the language gap. Find out more about Journey to Scale.